We’re talking with the Smalltown Poets again today focusing on creativity and how/where they see God. Part One of the interview is here. BibleDude: Tell us a little about your group’s beginnings. Danny: Three of us (Michael, Danny, and Byron) grew up in a small town in south Georgia called Tifton. We went to high school together, then started touring the country in a van with our original songs, under different band names. We eventually met the other guys in Nashville to round out the band. Michael: After our Indie band, Villanelle, disbanded, we met Kevin and Miguel and started Smalltown Poets in May of 1996. We went on to record a Grammy-nominated debut and three subsequent albums (our album Third Verse was also nominated for a Grammy in 2001) and had ten top-ten singles with three reaching number one. 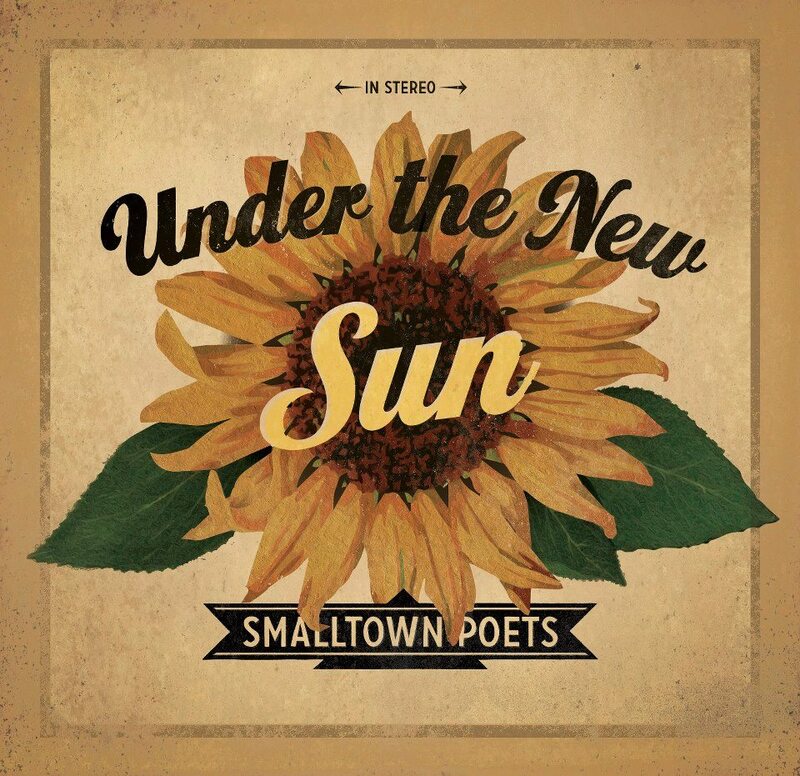 BibleDude: How did you choose the name Smalltown Poets? Danny: Michael and I were on the way to some meetings in Nashville. We were without a band name to go along with the most recent demos we’d recorded with our newly added players. The drive from Atlanta (our home base) took about four hours, so that’s how long we had to come up with a name. We landed on Smalltown Poets. It says who we are, where we’re from, and what we do. Notice that smalltown is one word, not two. This is supposed to evoke images of a fictitious, all-American, Norman Rockwell-esque little burg–similar to the one we came from. With us, it’s all about painting word pictures for the listener, even with our name. BibleDude: Do you write as a group? What inspires your creativity? How do you find your words? Danny: Most of the writing is done by Michael and me, but all the guys do contribute. Kevin co-wrote on “Charlie Brown’s Lament”. “The Ballad of Time & Eternity” was a song idea that Miguel brought to us, and we added the lyrics. We find our inspiration in God’s Word, our relationships, really good music, and just in life in general. When your name is Smalltown Poets, your lyrics better come from somewhere genuine, and had better reflect some real inspiration and artistry. Our high school creative writing teacher taught us that “good writing is honest writing,” so that’s where we start. BibleDude: Where do you see God the clearest, hear Him the loudest, feel Him the closest? Danny: I see God the clearest, hear Him the loudest, and feel Him the closest in a really good song. And in the love I have for my wife and kids. Byron: The only part of the nearness of God equation I know for sure is that I am closest to Him when I’m the farthest from myself. My physical surroundings don’t seem to matter. I’ve had my most intimate God moments when driving a car, mowing the grass or having a meal in a crowded restaurant. Michael: We were created for relationship. When I am doing what God wired me to do, I feel closest to Him. He has wired all of us to respond to him in worship, but he has wired me (among many others) to be a leader in worship. When I live into that, I feel God’s presence. When I seek out time to talk and listen to God like I would with one of my closest friends like Danny or any of the guys in the band, I experience the benefits of building that relationship. But it’s taken a bit of experience and perspective to realize that when I listen to my wife and am attentive to my children or am diligent in doing the more mundane parts of my work or home life, I am experiencing nearness to God–when I remember these tasks and relationships are meant to reflect His character and shape it within me. BibleDude: What else would you like us to know? Michael: Visit our website at www.smalltownpoets.tv. We have some T-shirts available here, and we will be running a special on our Smalltown Poets Christmas soon (sign up for our email list here to find out more.) The Christmas album is available for download at iTunes and here, but if you want it to stuff a stocking, get it on CD from CDbaby or Amazon. Note: You can also find the lyrics to Under the New Sun’s songs on their website. BibleDude: Thanks again, guys, for taking some time out to hang with us. Have you heard their music yet? Where do you see God the clearest, hear Him the loudest, feel Him the closest? I went to high school with Danny, Michael and Byron. They are 3 great guys. I can’t wait to listen to some more of their music.